16-10-2012: A few days ago, Space sent me a message about somebody who made lots of paper models, including my papercraft Animated Series Batman. Out of aluminium beverage cans. 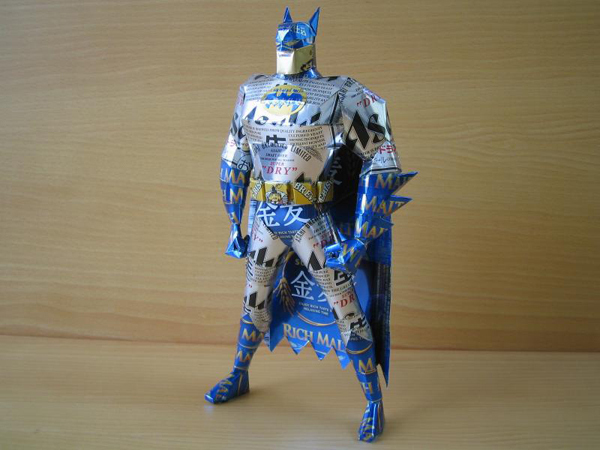 Made from different kinds of cans to get the colours just right, aluminium Batman looks fantastic I think! 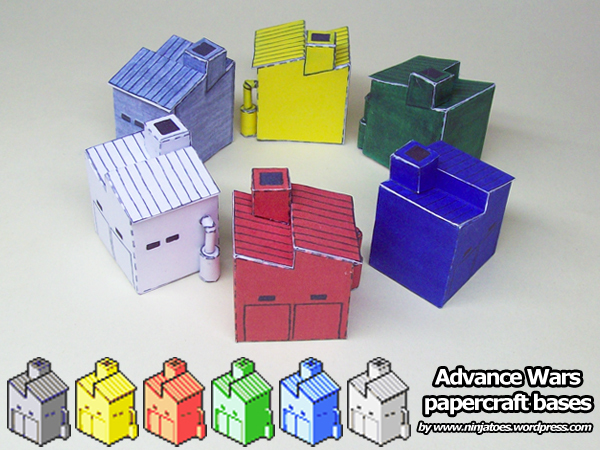 And be sure to check out the rest of her weblog (link) and her other craft website (link) too, because Machaon has made *lots* more papercraft models with aluminium cans, from teddy bears to Pokémon, all kinds of animals and lots more!